Human hunter-gatherers work with bird species to find wild honey, and keeping bees is also a very ancient skill. 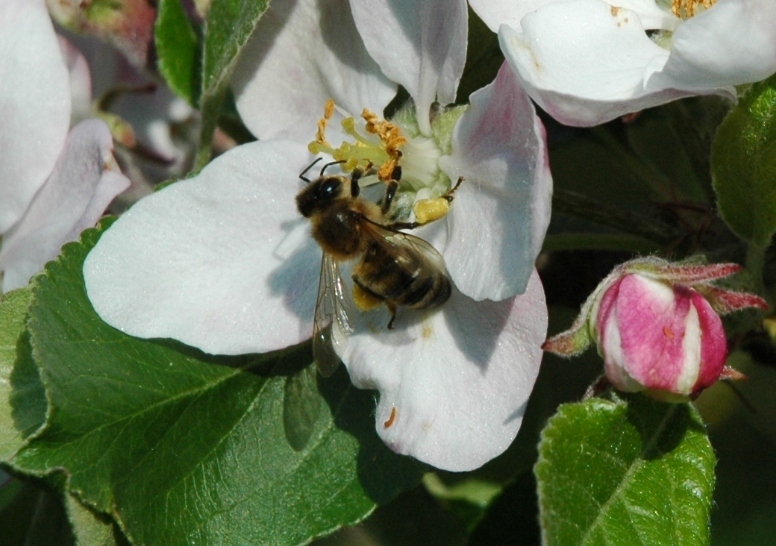 However, did you know that about 30% of human food crops benefit from pollinating insects? Due to problems affecting honey bees, together with appreciation of the importance of pollination as a support service for natural systems, there is much current research on bees. Naturalliance intends to keep you up to date with the findings and with new approaches to benefit bee-keeping and wild pollinators. BEST PRACTICE. Habitat restoration and employment through urban bee-keeping in Copenhagen. PRODUCTION. Naturalliance intends to help bee keepers and wild pollinators be as productive as possible. PROBLEM-SOLVING. Links to sites with the best information on what is harmful to bees. MAPPING. Widespread habitat mapping could be used to predict the most productive areas to site hives. • Keep bees and wild pollinators as safe as possible from harm caused by humans.